at the Cat's Cradle on Frida, Oct. 12, 2007. Michael Franti believes time is running out. "When you look at all that's happening now, it feels like we have a minute left to figure things out," Franti says in a call from Norfolk. "That's why there's a song called '11:59,' which might be the name of the next album. A lot of what I've recently written about is finding some inspiration in this hopeless time. We all might feel small, but we have to find some big answers." Franti is concerned about global warming, America's status in the Middle East and poverty-stricken countries around the world. "It's a scary time," he says. "I don't like how America has this 'we're right and you're wrong' attitude with so many countries. There's not a lot of goodwill toward America right now, and I'm not surprised it's that way." But the intense rapper-songwriter still sees plenty of good in America. "The best thing about this country is that we have abundance," Franti says. "When I travel to places like Jamaica or Brazil, about 80 percent of the people live in poverty. That's not right. It makes America look awfully good." Franti hopes America elects a president who can be a respected and admired leader around the world. "We need someone who can change where we're at," he says. "We need someone that is about a reduction in global warming." The father of two sons, ages 20 and 8, Franti hopes Al Gore decides to run for President again. "I think he would win and I think he could do the job," Franti says. "But I don't think we should wait for him. I think we should all start acting locally now. We have a lot of work to do." Franti and Spearhead are three-quarters finished with their next album, due to drop in 2008. The forthcoming disc, which will be previewed tonight at the Lincoln Theatre, is a guitar-driven project and one of Franti's edgiest works. "I wanted to bring the guitars out this time," Franti says. "That's why I called on Matt Wallace to work on some tracks. I love what he did with those Faith No More records years ago. He added the right touch." Franti's pals, the Jamaican reggae legends Sly and Robbie, toiled behind the board on another Spearhead project. The rhythm monsters add groove to the sonic mix. "Those guys are so easy to work with," Franti says. "They gave the album balance. They helped me make a rock record that can be played in dance clubs." Part of the reason Franti and Spearhead will showcase the new tunes is to see how well they work live. "I like going out like this because you can go back in the studio and fine-tune things." Over recent years, Franti has been consumed by work. He shot 'I Know I'm Not Alone,' a film inspired by his trips through such countries as Iraq, Israel and Palestine in 2004. The following year he crafted his last disc, "Yell Fire!" 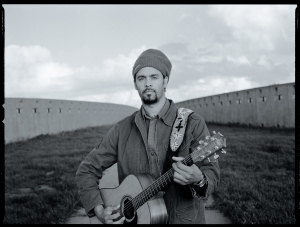 After touring behind the album, Franti worked on his forthcoming disc and has been booked for speaking engagements. That doesn't leave much free time. "I don't have much of a chance to just relax," he says. "But when I do have a chance to take a break, I like to practice yoga to get mentally and spiritually grounded. "I also like to take time with my sons. To me, they're what it's all about. Our children are the reason we have to care about making change. We all have to do something, and we have to do it now."